Namibia is a country in southern Africa whose western border is the Atlantic Ocean. 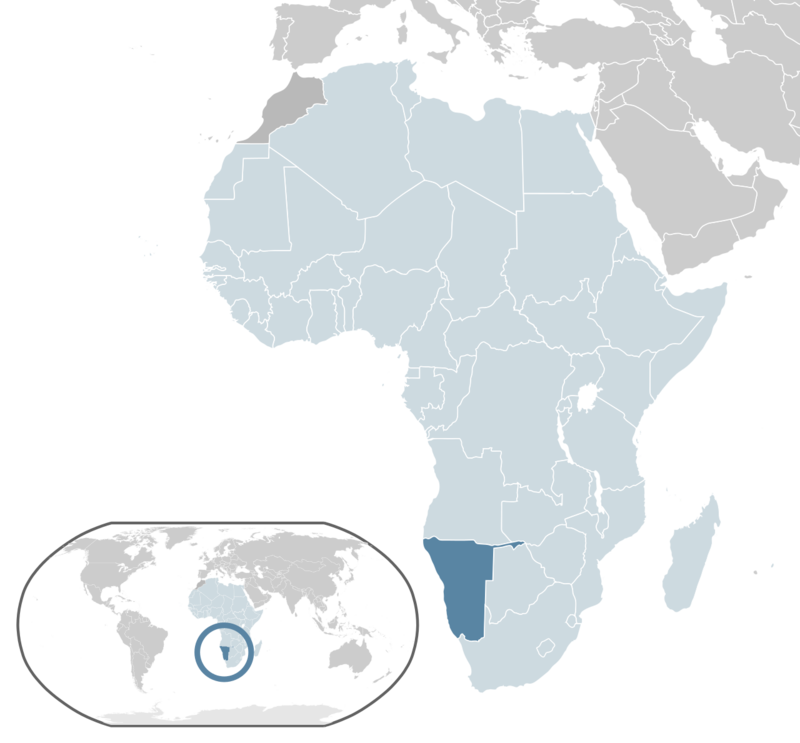 It shares land borders with Zambia and Angola to the north, Botswana to the east and South Africa to the south and east. Namibia gained independence from South Africa on 21 March 1990, following the Namibian War of Independence. Its capital and largest city is Windhoek, and it is a member state of the United Nations (UN), the Southern African Development Community (SADC), the African Union (AU), and the Commonwealth of Nations. Namibia has a population of 2.5 million people and a stable multi-party parliamentary democracy. Agriculture, herding, tourism and the mining industry – including mining for gem diamonds, uranium, gold, silver, and base metals – form the basis of its economy. The large, arid Namib Desert has resulted in Namibia being overall one of the least densely populated countries in the world. Namibia enjoys high political, economic and social stability.